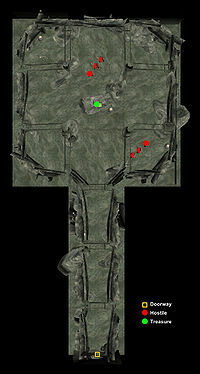 Jolgeirr Barrow is a fairly small burial ground southwest of the Altar of Thrond, roughly in the center of the island. 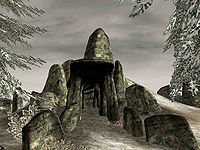 This barrow holds traces of a lost race, the Falmer, or Snow Elves. Inside you will find various pieces of Ancient Steel Armor, the Spear of the Snow Prince, and a copy of Fall of the Snow Prince. This page was last modified on 3 September 2017, at 13:21.